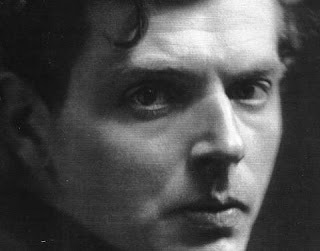 For this article I continue looking at the poet and composer, Ivor Gurney, four of whose poems are part of my song cycle Four Songs to Texts by Ivor Gurney which, performed by Johnny Herford and William Vann, is on our new disc Quickening: Songs to texts by English and Welsh poets for which we are currently crowd funding. You can read the first part of the article on this blog, in this second part I look at the four poems which I have set, Song, Requiem, To his love and Song and Pain. After being gassed in 1917, Ivor Gurney was sent to the Edinburgh War Hospital where he met and fell in love with the nurse Annie Drummond and though there is a suggestion that they became engaged, the relationship failed for reasons which are not known for certain. Ivor Gurney wrote Song, 'My heart makes songs on lonely roads /to comfort me while you are away' for Annie at the height of his relationship with her. My dead friend's face as well. Quickening: Songs to Texts by English and Welsh Poets comes out on the Navona Records label in the Autumn and features my settings of poems by Ivor Gurney, AE Housman, Christina Rossetti and Rowan Williams. Please do support our crowd-funding.